We have started a weekly prayer group for MCS moms to come together to pray for our kids, our teachers and staff, our school, and of course, for each other too! 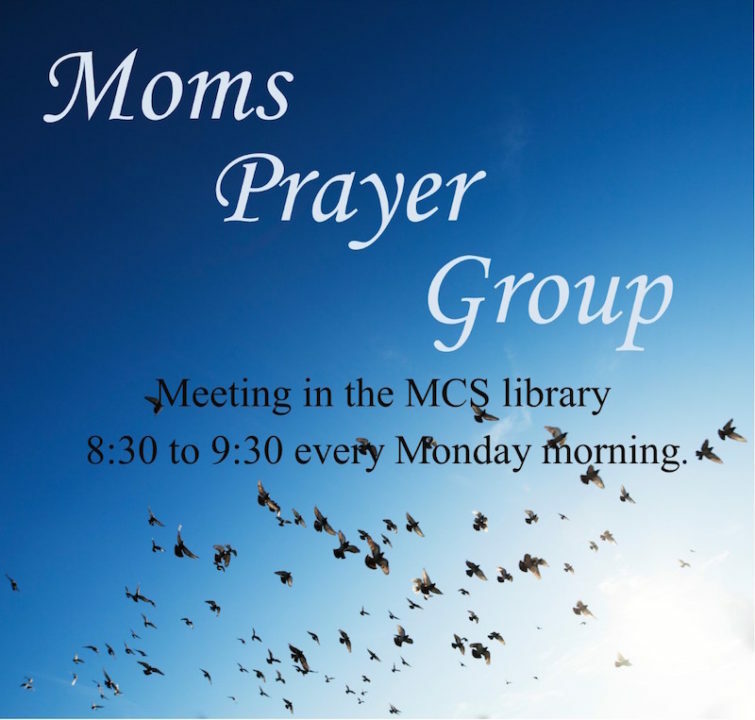 The Moms Prayer Group will meet in our library every Monday at 8:30am to connect with other moms, support each other, and most importantly pray together. This is a very open and welcoming group- feel free to share as much or as little as you would like, ask for prayers, or simply sit with us to enjoy the love and support of other moms in the same stage of life. This group will meet weekly, but we understand schedule constraints so please feel free to come when you are able. We look forward to meeting you and praying with you on Monday mornings at 8:30 in the library!